Are you planning for a trip to India since a long time? Do not worry on where to halt the search in the vast country. 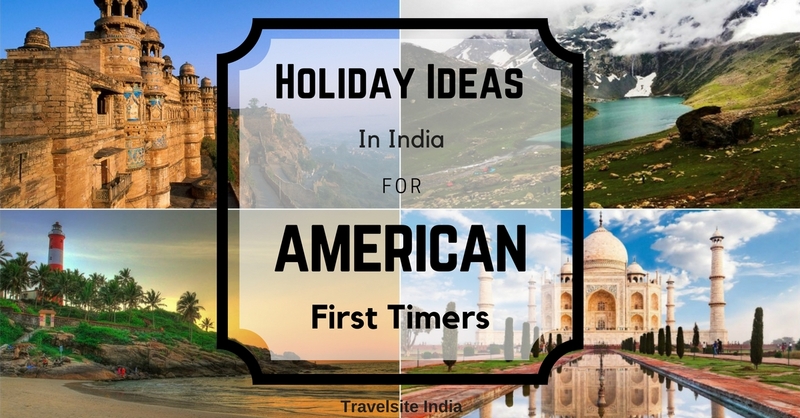 We have tried to sum up some of the holiday ideas in India for American first timers. This is a land of diversified ecosystem and contrasting cultures. There is no land on this planet, which has such a varied variety of places to visit in a price of single visa. If we start talking about the pros of this nation, we will forget to put a stoppage to it. Being Americans you would be worried about what to plan and how to take forward the idea of visiting the nation with all the hustle-bustle, don’t worry and have a look at the blog I have prepared especially for your comfort my friends. If you are planning a tour to feel free and live at leisure this vacation. You are at the right thought. India is the location, which will make your search a worth- while job. India is the only country in the world, which has an ocean on its name, so we can well guess the beauty of the waterbodies in the nation. 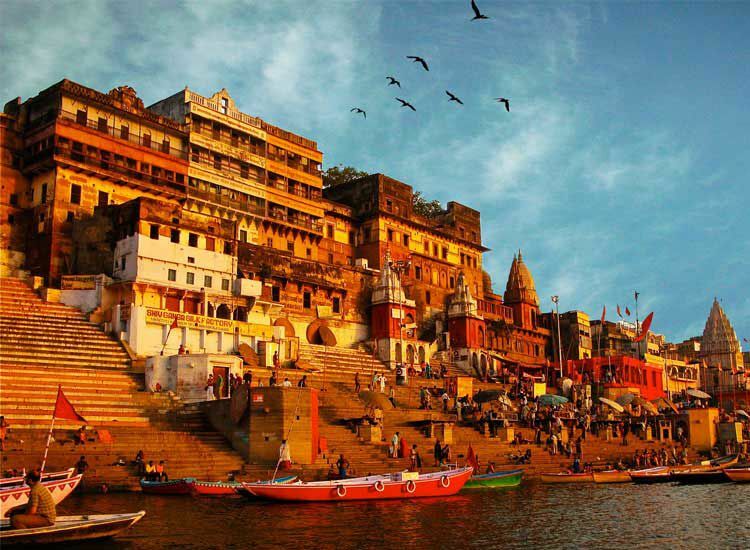 It is also home to the holy rivers like Ganges, Yamuna, Sarasvati, Godavari, Kaveri, Narmada, Alaknanda and many more. Therefore, when you are confused about the trip of beaches and backwaters do not forget to give India a first thought as it is loaded with beaches and seasides to make your trip an amazing experience. 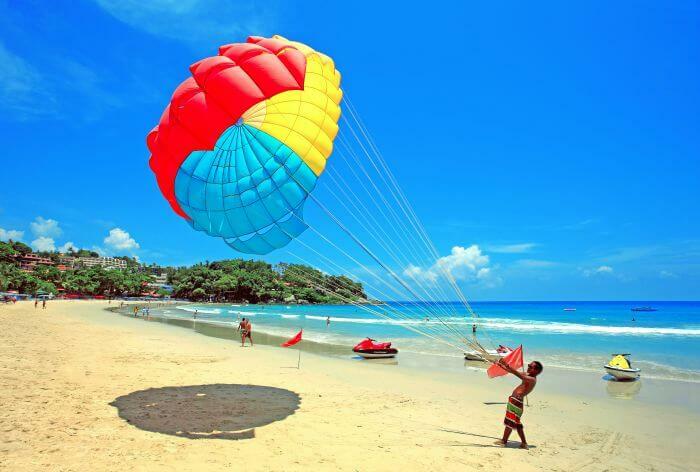 Other than just the beaches and stereotype boating in the rivers, you can also spend a day or two performing the adventurous water sports like paragliding, speed boating, kayaking, canoeing etc. 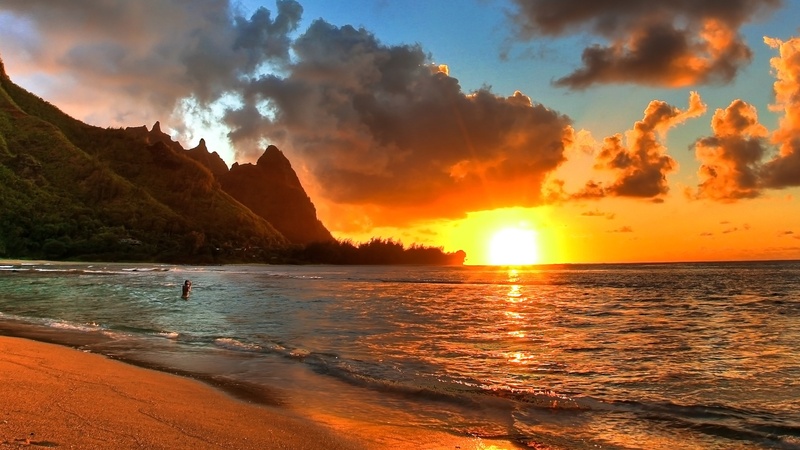 come, and feel the blissful atmosphere and amazing looking sunsets by the beaches and enjoy the tour to the fullest. 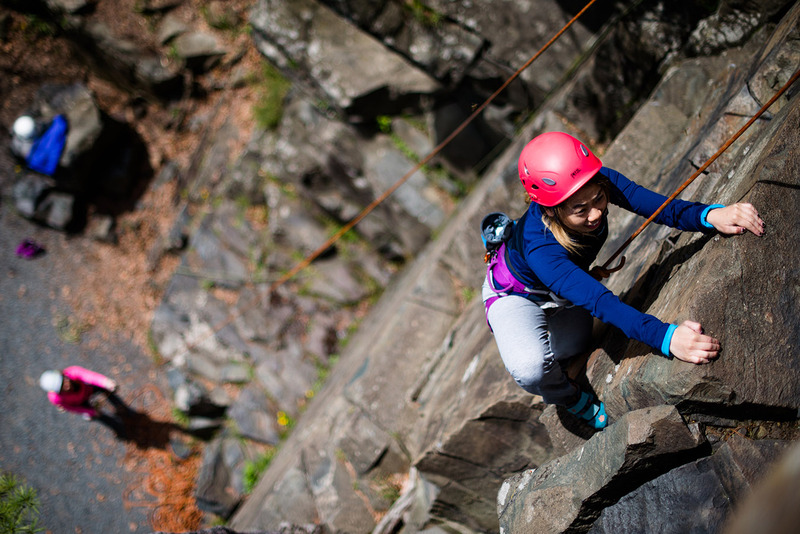 Enjoy various adventure sports with adventure holiday packages. The royalty of our kings, have always been boasted with power and jewels, but not to forget the great wildlife of the nation. People used to boast about the elephants, the horses, and even the king of the jungle, tiger. The royalties of India had a royal trend to go for hunting of the wild animals, which is no more in practice and is a punishable offence. However, going for a jungle safari tour and seeing them through the open jeep is not punishable and is a very fun to do task as well. Going for a jungle safari tour in between the varied flora and fauna will be a good holiday idea in India for American first timers. India is home to a state, which has numerous number of wildlife sanctuaries and national parks, that is Karnataka. 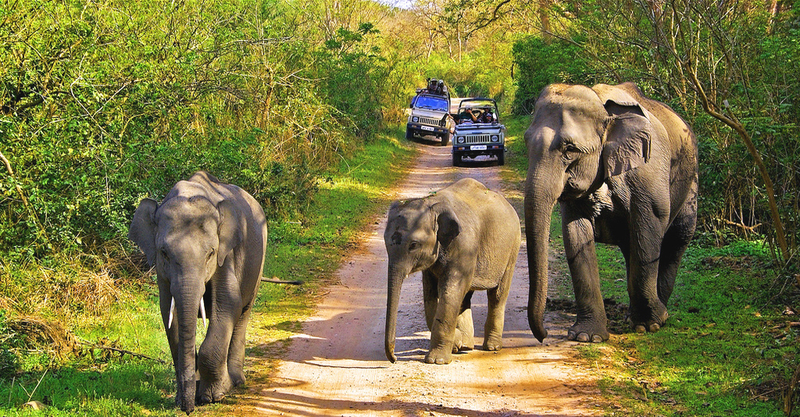 Anyhow, that does not mean that it is the only place for jungle safari tours there are many more national parks that are famous and sanctuaries with amazing ecosystem. 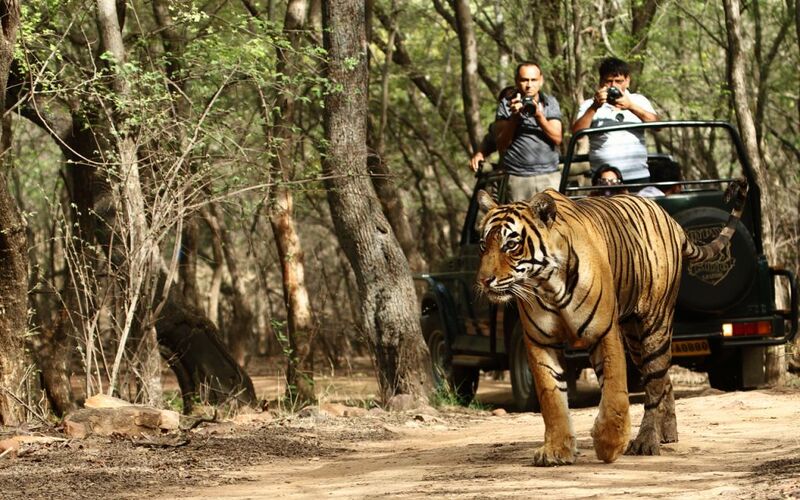 Experience with Wildlife Tour Packages of India. From the highest peaks in Kashmir to the platues in the Deccan region. India, is bounded and secured by the huge green and sometimes snow covered mountains. Hey Americans! You want to feel at home when travelling around the world, hola! We are here with a plan for you, let us plan a trip for you to the beautiful mountains and hill stations of India. You want Kashmir or mountains of Kerala; we are here to help you out. 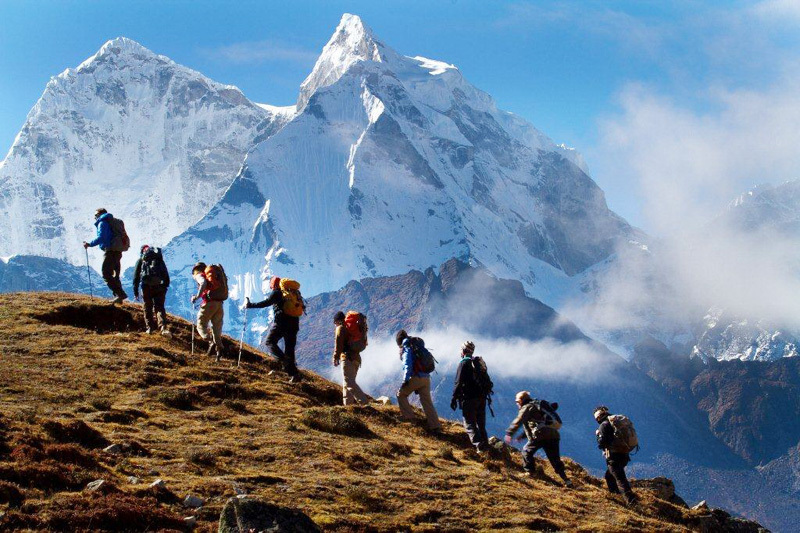 You can do a lot of mountain sports and trekking in these beautiful places away from the bustle of the cityscape. Think of a trip to India and while looking at the list of ‘holiday ideas in India for American first timers’ choose the mountains and its sports to attain the peace in your holidays. Is your plan to know India to the fullest? We have another idea for you. We can even plan an amazing pilgrimage tour for you with your choice. We are a land full of temples, mosques, churches and gurudwaras. The Indian mythology is so deep and old that the temples and the pilgrimage spots have the aura of olden days.as they say that when a person visits the famous sites of pilgrimage values he attains a sense of peace and moksha. In the land where different cultures are practiced with full heart and soul, you must visit at least a few of them to make you feel the bliss and serenity of the heaven in the lap of the god. If you are interested in knowing about christens, Buddhist, Hindu, Muslim or any kind of culture and religion this land in the south –East Asia is your one stop destination. Come and enjoy the amazing infrastructures of the temples and the believes of the men and women of India upon their God make you go bonkers. The people of India are been considered one of the most culturist people in the world. This is because of the fact that India is been ruled by many dynasty in and outside the nation which makes the culture of the offerings so varied. From Rajputana to Gujarati’s, from west Bengal to south- India there is so much to see in the cultural differences of the people. You can plan a cultural trip in our nation and can feel how diversified is our tradition and culture but still makes us united in all aspects. The mixture of Indian believes and British practicalities, this nation makes itself stand out in a group of people with its varied knowledge of customs and creeds. Hence making the festivals, marriages, living, standards, cuisines,dresses, monuments, dances, music, literature and all such things look so amazing and colourful which pleases the eyes of the tourists. Who doesn’t know that Yoga is originated and propagated from India? It was propagated to all over the world by our kings, saints and people who knew the true art of ‘dhyana’ (postures of yoga) and its benefits to the human body. 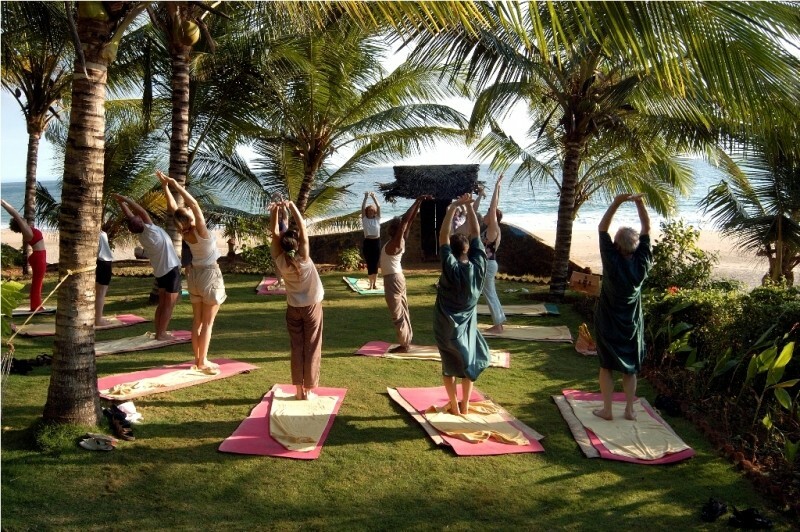 Yoga is one form of exercising, which can be best performed in the aura and atmosphere of India. 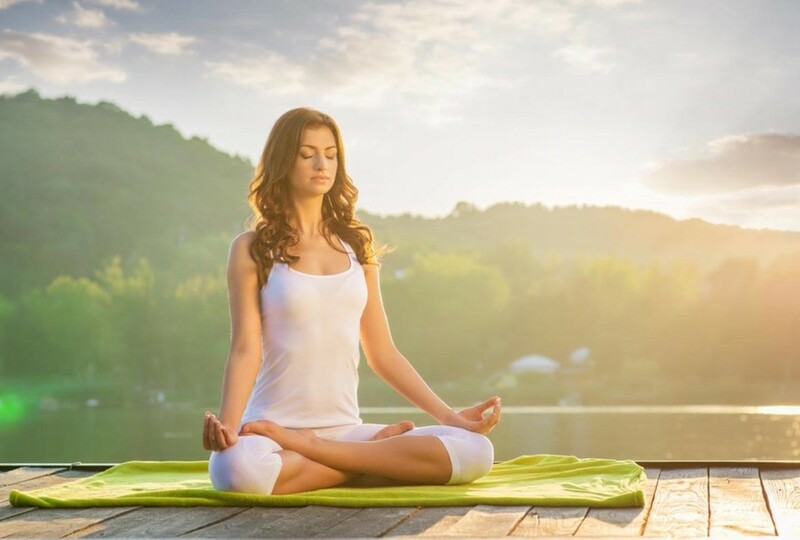 You can plan a trip of YOGA RETREAT and learn the art of heart cleansing techniques of exercising and meditation to make you feel more light and healthy. India has a lot of locations which offer you a perfect spot to sit in the position and feel the purity of the atmosphere which will make you rediscover yourself. Do not forget that a person who practices yoga is a self-controlled and confident human being. India has one of the best locations for this kind of a tour let us have a look at few of them. Are you aware of the vast history of India? No, it is not a problem. 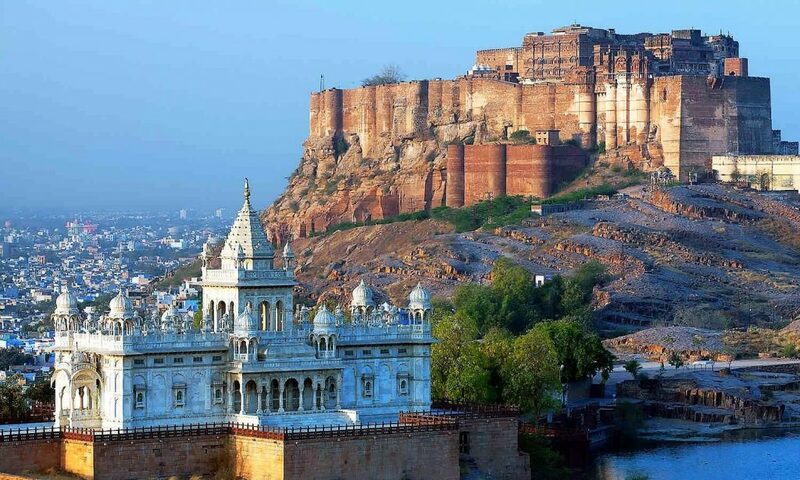 I will guide you with the best places to find the deep-rooted history in India. Our ancestors and we the people of India have seen a nation in growing one cannot imagine. We have been in the royal boundaries since the advent of the planet. Also known as, ‘golden bird’, this land of kings and royalties have made and left so much for us to look and wonder about the kind of aristocracy they enjoyed. From all the four corners of the nation one can turn their head and find a great deal kept forward by the emperors of the nation. They have made India proud and the kids are still studying the power of them in their history books. 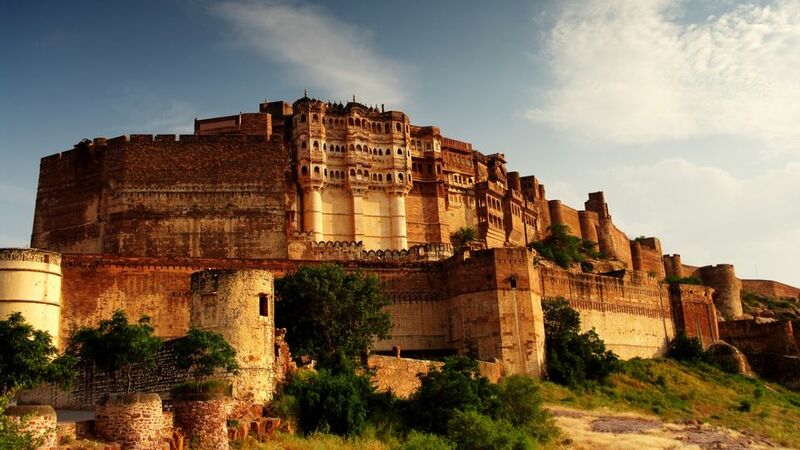 If you as a foreigner is interested in looking at huge monuments, palaces, forts, tombs, galleries of golden era, we welcome you and promise an amazing historical trip to India, which you would never forget in a lifetime. 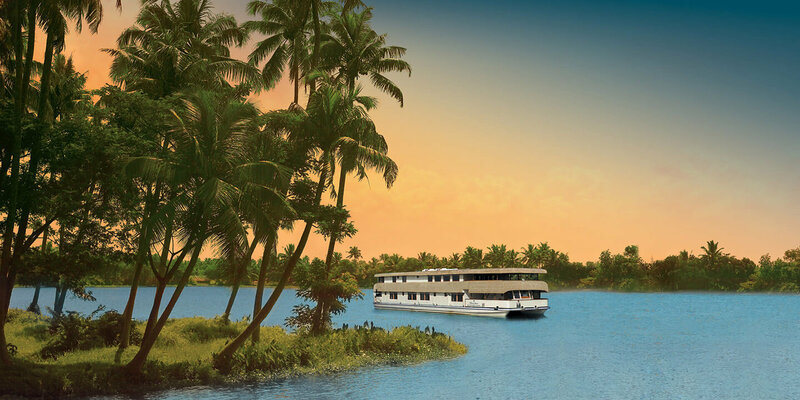 With the beauty of the mountains, backwaters, beaches India is a perfect spot for people who are honeymooning or planning to go to a hideout to explore one another. We have such amazing stops for you to make you fall in love with your better half once again. The amazing laid-back water bodies, colour-changing horizons, beastly green mountains and the very silence of these places makes it a destination hot favourite among the people. Therefore, if you are planning a honeymoon trip or you are just a young couple who wants to explore the world to the fullest, India will make your search of day and night a process worth giving some time. Explore the Romantic Places of India with Honeymoon Tour Packages. These are a few places in India, which would best suit your plan of vacations in India so if you were looking for holiday ideas in India my American friends, I have laid down a theses in front of you to choose from and give us a chance to make your India tour a better stay.